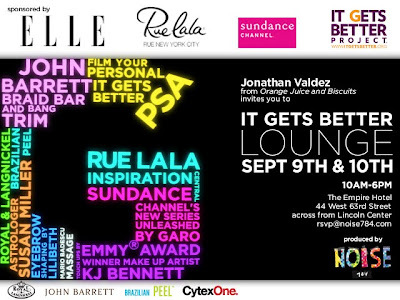 OJ&B Invites You To The It Gets Better Lounge Sponsored By ELLE Magazine RueLa La And Sundance Channel! 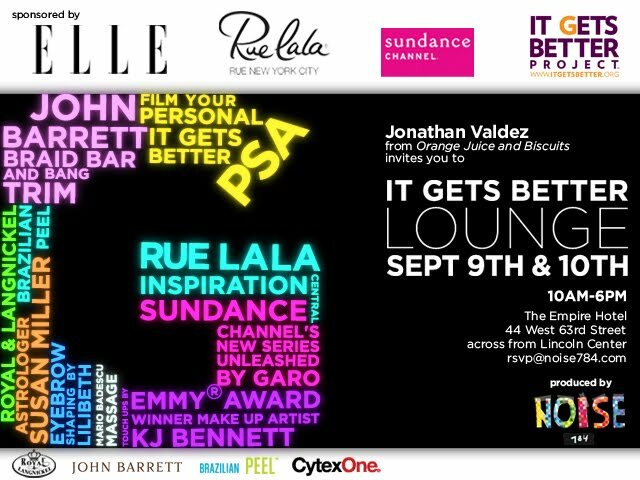 I am so thrilled to be able to invite you to the It Gets Better Lounge sponsored by Elle Magazine, Rue La La and Sundance Channel at the Empire Hotel. The lounge will be open September 9th and 10th from 10am to 6pm but OJ&B is hosting an hour social media meet up on Saturday, September 10th from 10am to 11am! That's right guys and gals! I am inviting all of you to stop by, say hi and celebrate the project’s mission to help put an end to persistent bullying of LGBT youth. The lounge will offer guests the opportunity to record their own PSA onsite for the It Gets Better Project. On-site Amenities include: John Barrett's Braid Bar & Bang Trim, Astrologer Susan Miller, Mario Badescu Massage, Eye Brow Shaping by Lilibeth, touch ups by Emmy Award winning make up artist KJ Bennett and more! 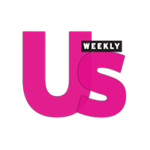 If you have always wanted to know what it was like to step into a VIP lounge that celebrities go to during fashion week then this is your chance to find out! You will get to see and experience the star treatment and also have the chance to give back and help others. What a perfect thing to do for fashion week! I cannot wait to check out the lounge for myself and I hope to see and meet you on Saturday, September 10th from 10am to 11am!